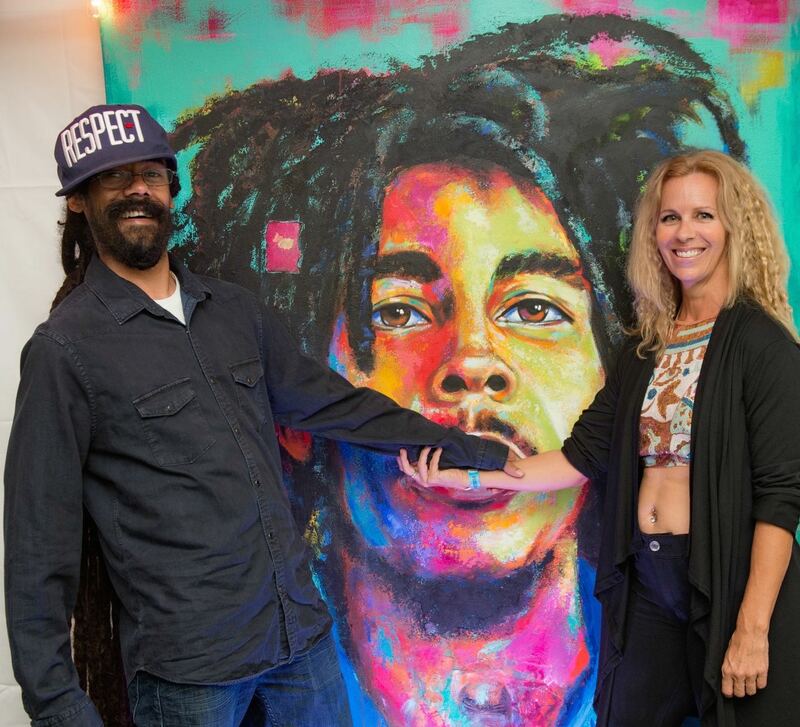 ST.JOHN’S, Antigua, May 12, 2017 – When artist Naydene Gonnella set out last year to paint the portrait of the legendary reggae artist Bob Marley, she never imagined that one day his son, Damian Marley, would receive the artwork as a gift. Gonnella presented the painting to the younger Marley before he hit the stage to entertain thousands of people gathered at Nelson’s Dockyard for Antigua Sailing Week’s Reggae in the Park that was held on Tuesday May 2, 2017. 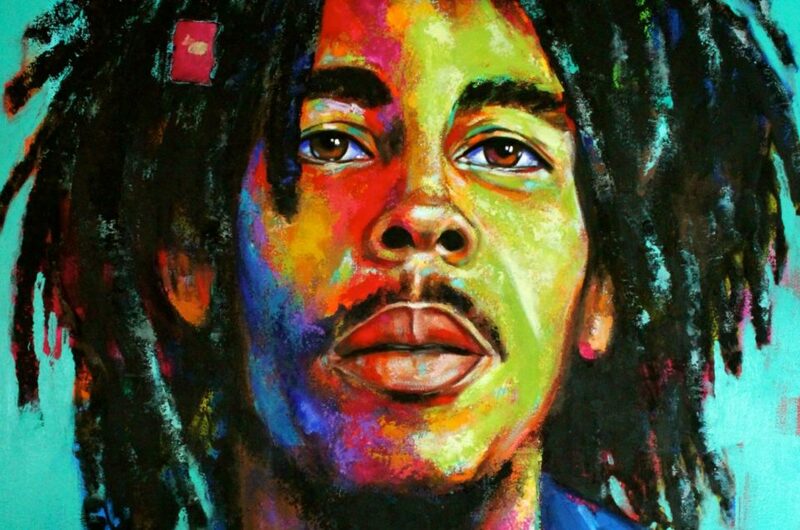 The art piece stood 4-½ft by 6ft and served as a decorative backdrop in Marley’s backstage dressing room. 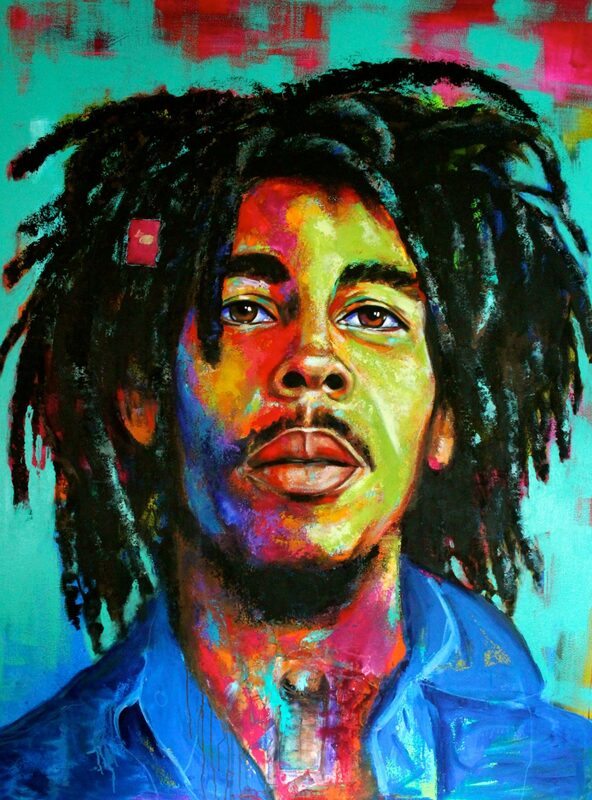 Gonnella has been painting portraits of the older Marley for years. She is a long-time fan of Bob Marley’s music. His artistry and forward-thinking lyrics, which conveyed messages of love and unity, still inspire her work today. In creating the artwork, she combined mixed media, vibrant pops of colour, layers and collages. Within the painting, she also embedded symbols and messages that are only revealed when viewed up close. Messages she hopes his youngest son appreciates. 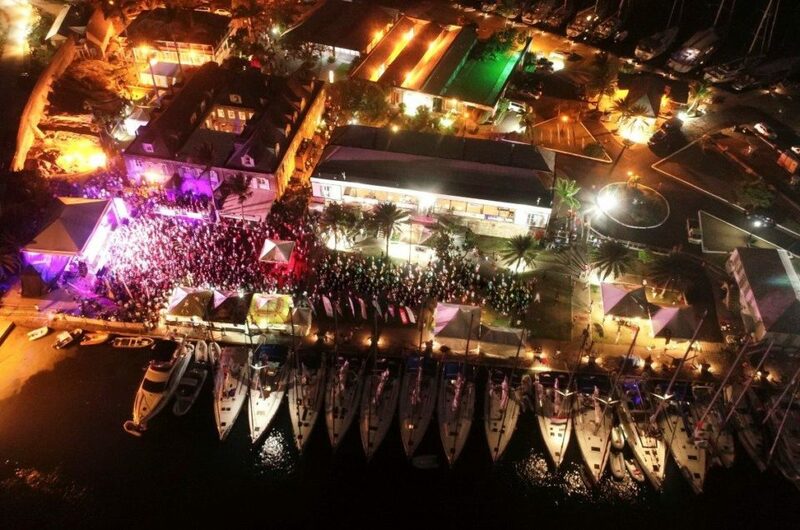 The artist, who took months to paint her latest tribute portrait of Bob Marley, is delighted that the artwork will soon hang in his son’s studio in Miami bringing it all full circle. The expressionistic style painting of Bob Marley is part of Gonnella’s Pop-Phiz collection, which debut in December 2016 at the Copper and Lumber Hotel. It features a series of portraits of talented celebrities who have left an extraordinary mark in their respective fields.